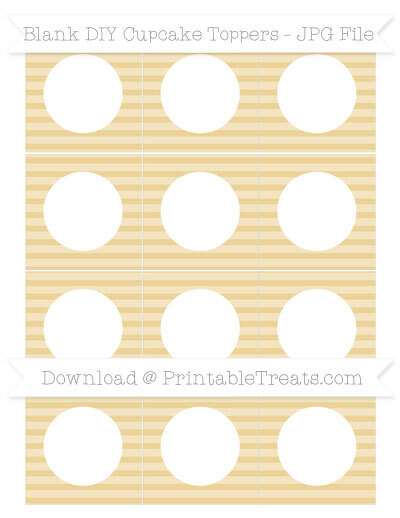 Make your own cupcake toppers with these simple patterned blank DIY cupcake toppers. You can use these blank DIY cupcake toppers to decorate cupcakes, as straw flags, as gift tags, or whatever you’d like! There are 12 square cupcake toppers per sheet. You can cut the squares out and use as-is (they are all the same size) or you can use a fancy scalloped hole punch to make 2 inch circles. You will receive the file in JPG form. Use your favorite image editing program to add your text or images. There are also free services online (like Picmonkey.com) where you can edit the file. You will receive a JPEG file within a zipped folder. You’ll need an image editing program like Microsoft Paint to personalize the cupcake toppers.